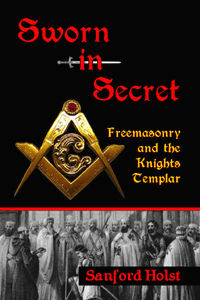 If you are looking for a good general history of the Knights Templar, this is it. 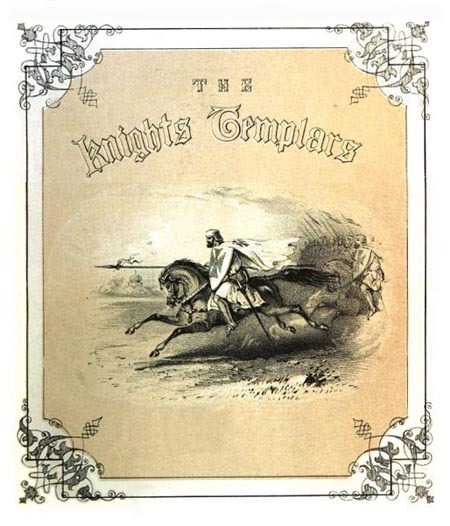 Drawing from extensive amounts of research material in 1842 when he wrote this work, Charles Addison takes us beyond the dry facts and into the lifestyle of the Templars. He does this by describing the surrounding societies, as well as including numerous episodes involving the Templars themselves. Part of his motivation for doing this research was that he was a barrister or lawyer at Inner Temple in London, which had been the main residence of the Templars in that city. The best way to see what this book is about is to read an interesting piece of it. 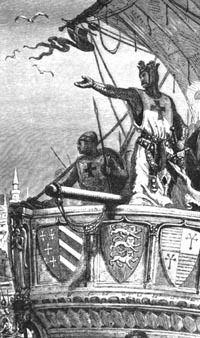 So I am providing a link to Addison's factual and intriguing account of King Richard the Lionheart arriving in the Holy Land and beginning his exploits with the Knights Templar. It was written based on accounts recorded by people who accompanied King Richard on these adventures, so the details are rich and colorful, giving a real feel for the events that happened. Read the excerpt on Richard the Lionheart here. This is a review of the book History of the Knights Templars by Addison. It refers to a lengthy excerpt from the book regarding King Richard the Lionheart in the Holy Land with the Templars.